Alvaro Morata wants to establish himself as Chelsea's main man after insisting he never considered leaving Stamford Bridge. Morata only scored one top-flight goal after the turn of the year as speculation over his Chelsea future intensified amid links with Serie A and LaLiga. 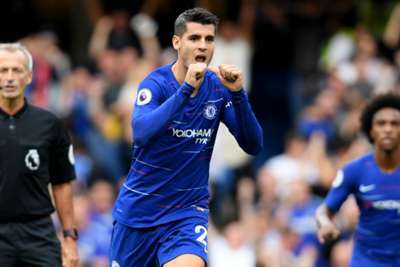 But the 25-year-old Spain international, who was left out of the country's World Cup squad, was on target in Chelsea's 3-2 win over London rivals Arsenal in Premier League action on Saturday. Former Real Madrid and Juventus forward Morata is determined to change things at Chelsea following Maurizio Sarri's arrival. "There was never a thought for me to leave. For me, it's easy. I could have gone back to Spain or Italy, all the people believe in me there but I want to change all the things here," Morata said. "I want to, not for all the haters, but for me and for Chelsea." "I am looking forward to buying a house and I can't wait for the babies to grow up to put them into school," Morata added. "I am very happy and it's just the beginning of the new season. Why would I not be happy? I want to change all the thinking from the people who say I'm not. 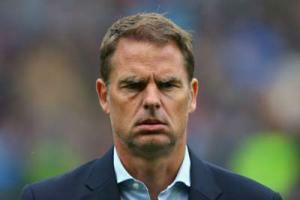 "It's the only reason I stay here, otherwise if Chelsea said you are not in our plans, I move." He continued: "The most important thing is the way we play. Last season it was direct balls and for me to protect the ball in the air is not my best quality. Now I can attack the space, I can play one touch and go in the area for the crosses. It's better for me."